St. Paul Lutheran School in Mt. 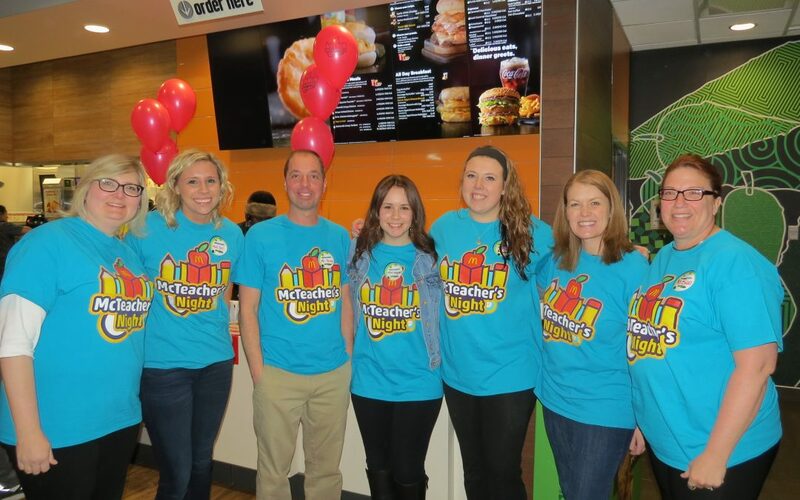 Prospect held their third annual McTeacher’s Night Fundraiser at the Mt. Prospect McDonald’s on Rand Road. 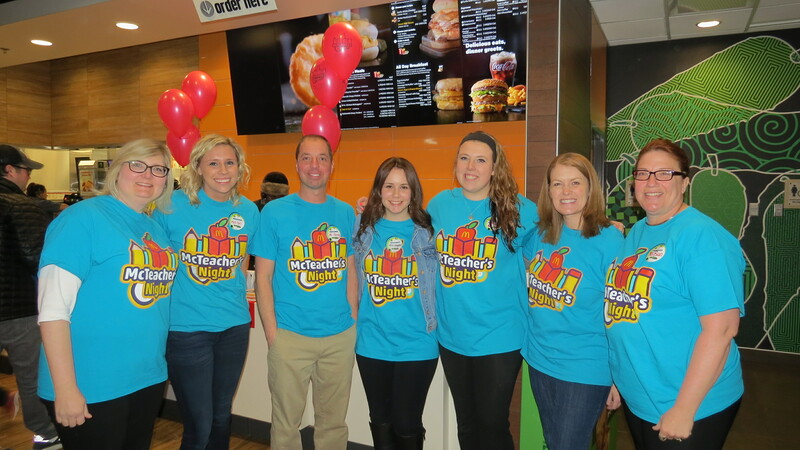 A McTeacher’s Night is organized to help raise money for local schools by having teachers work at McDonald’s and then giving a percentage of the night’s sales back to the local school. What an amazing night for St. Paul School! On Wednesday, April 18th, the restaurant was taken over by sixteen teachers excited to serve freshly prepared meals to students and their families. Teachers also handed out orders, cleaned tables, served drinks, and even dressed up in an apple pie costume. Teachers Angela Young, Alexis Hahn and Karla Menze dressed in the Pie outfit and what a blast they had mingling with all families and taking pictures. 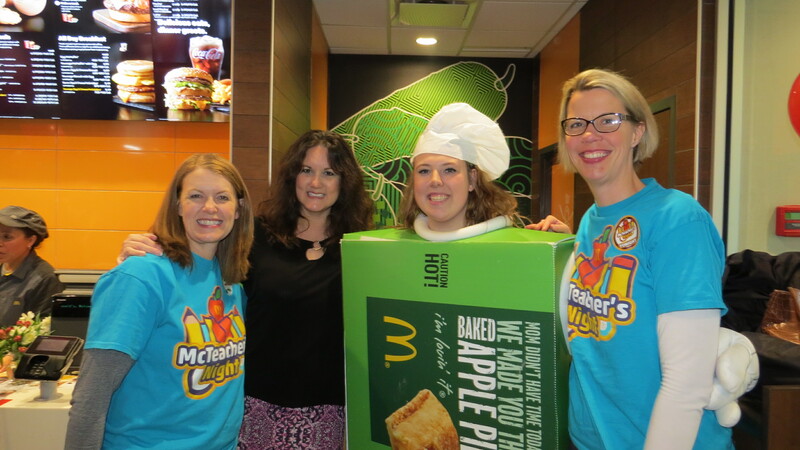 The St. Paul Lutheran School teachers worked hard selling delicious apple pies all night and had a blast. The funds earned from the Pie sales will go directly to the school for classroom and computer supplies. A special thank you goes to St. Paul parent Candice Prieto who organized the event as well as everyone who worked and attended.